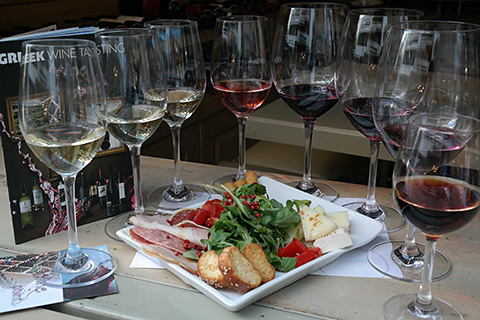 Wine with Eleni | Follow me… to taste the wines that I drink, in places that I love. in places that I love. 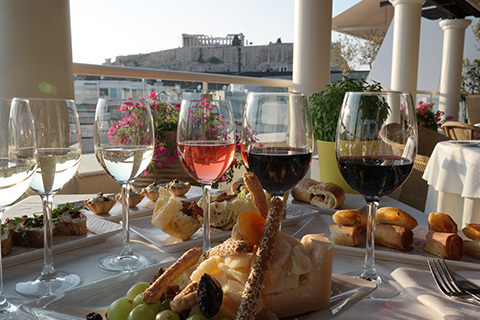 Athens is famous for the Acropolis, the Parthenon, its array of museums and archaeological sites, but very few know that just 35 minutes from the city center lies one of the world’s oldest vineyards. In a charming landscape under the endless blue Attica sky, these ancient vines are set among gentle hills of olive, fig and pistachio trees, and gardens with vegetables and fruit orchards, which spread all the way along to the lacy coastline. 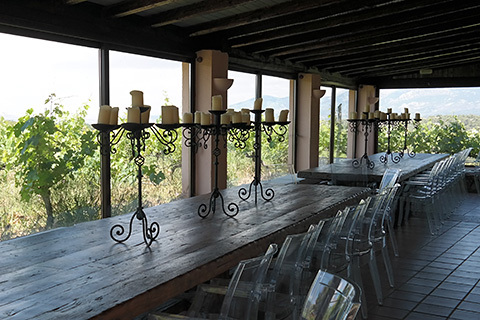 If you want to visit the landscape of Attica, the vineyards next to the archaeological sites and taste the wines of passionate winemakers who follow a 3,500-year-old winemaking tradition, contact me. 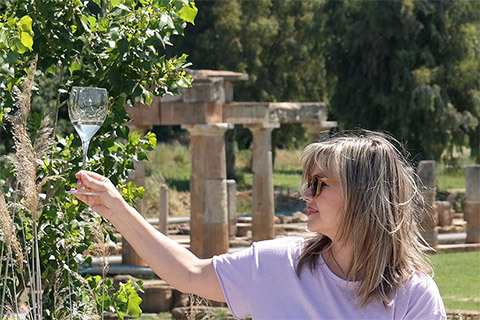 I will arrange a tailor-made itinerary for you including visits to wineries, wine regions and wine bars, wine tastings and picnics, and many other surprises that will introduce you to the wonderful world of Greek wine. 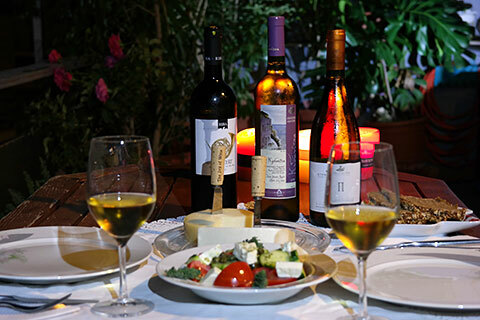 If you want to visit other wine regions in Greece just ask me. This is the first and only book about the history of viticulture and wine making in the Holy Mountain, Halkidiki, Greece. 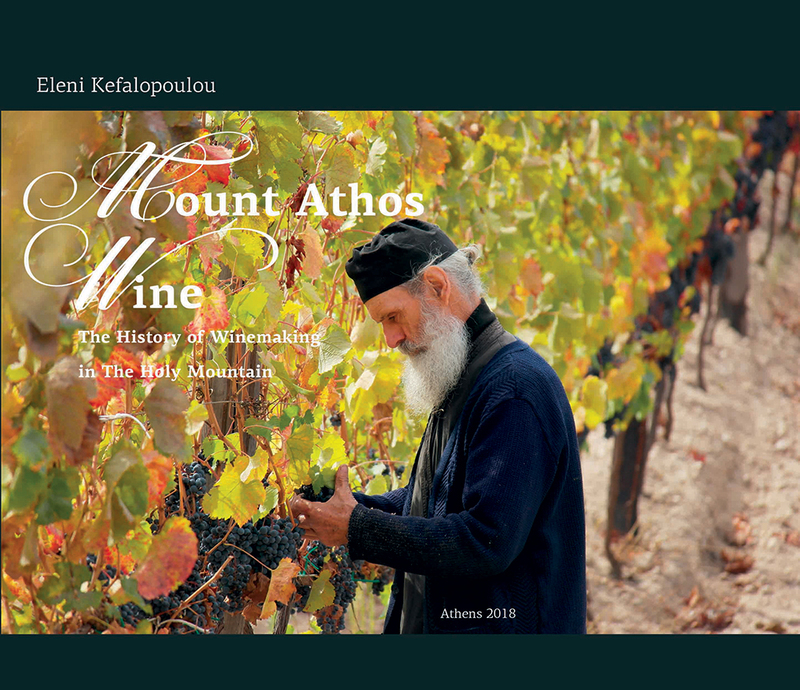 For more than a thousand years, the monks on Mount Athos produce wine uninterruptedly. Wine is used for the Holy Communion and is one of the necessary elements of the monks diet.